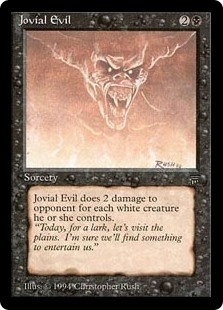 Jovial Evil ($18.85) Price History from major stores - Legends - MTGPrice.com Values for Ebay, Amazon and hobby stores! 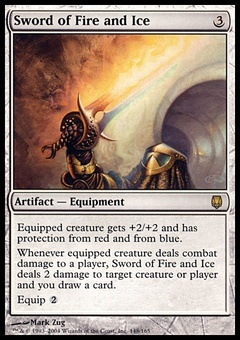 Card Text: Jovial Evil deals X damage to target opponent, where X is twice the number of white creatures that player controls. 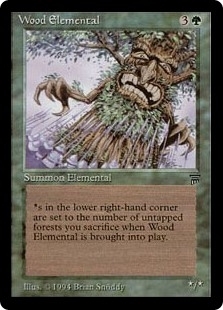 Flavor Text: "Today, for a lark, let's visit the plains. I'm sure we'll find something to entertain us."